SCP-4313 in its active state. Special Containment Procedures: SCP-4313 is to be stored in a standard low value containment vault on floor 14 of Site-88. Outside of testing, SCP-4313 must be handled by personnel who have consumed at least 750 calories within the last hour. Description: SCP-4313 is a white ceramic bowl. The exterior's bottom possesses a highly faded and illegible manufacturer's logo. SCP-4313's anomalous properties manifest when the object is within line of sight of any individual. 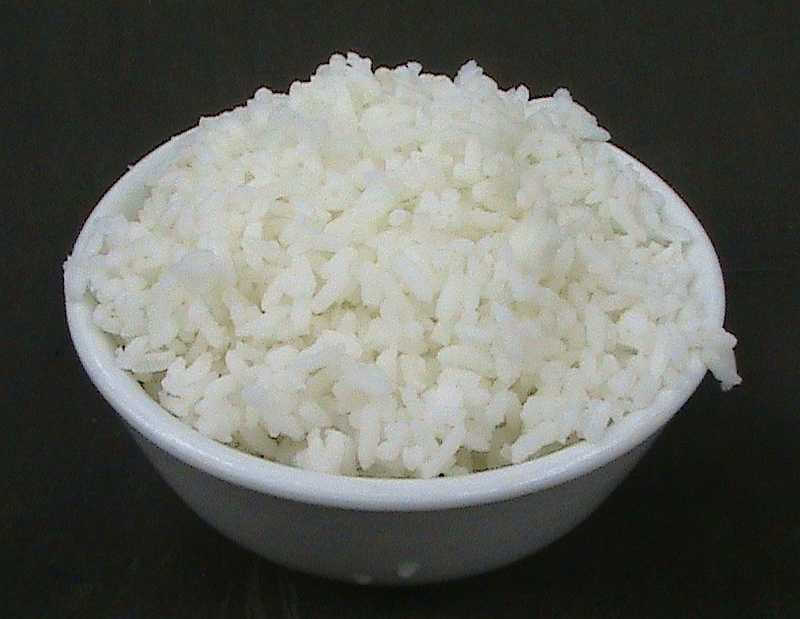 Upon activating, SCP-4313 will fill with fully cooked white rice. The rice, hereafter referred to as SCP-4313-1, compels the subject which first triggered its manifestation to consume it. Upon consuming the contents of SCP-4313, another serving may manifest if the subject's appetite is not sated. Additional manifestations of SCP-4313-1 are directly proportional to the subject's appetite, with servings becoming smaller should a subject only desire to consume half a serving. Each serving of SCP-4313-1 is estimated to possess a caloric value of 650. Addendum: The following note was recovered alongside SCP-4313 during a raid on a suspected anartist's home. I had to go on a business trip again and I don't know when I'll be back. I know rice is boring, but pizza every night is a bit out of our price range. …and if you don't eat you're never going to get over that cold. Salt and pepper are next to the stove. If you start feeling sick again put the bowl away and call your mom.